The Younger Kapoor Sibling AKA Khushi Kapoor Nailed The Ultimate Cool Girl Style With This Look! Thank the Heavens above for the Kapoor Clan, the forebearers of fashion who are always up for serving us mere mortals with fashion looks we didn't know we deserved! First, there were Sonam Kapoor and Rhea Kapoor who took the industry by storm with one fashion-forward look after another, and now in addition to the dynamic duo is the younger set of Kapoor sisters who never fail from leaving a mark. Who are we talking about? Janhvi and Khushi Kapoor, of course! Seen a number of times on outings together, the Kapoor siblings are always on-point with their fashion game and we, for one, highly approve. 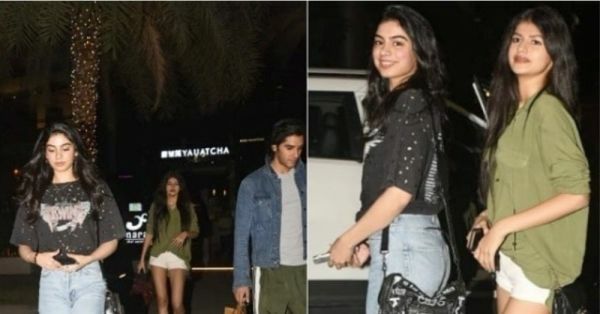 This time around, we didn't spot Khushi and Janhvi Kapoor together but we did get to see the latter on an outing. 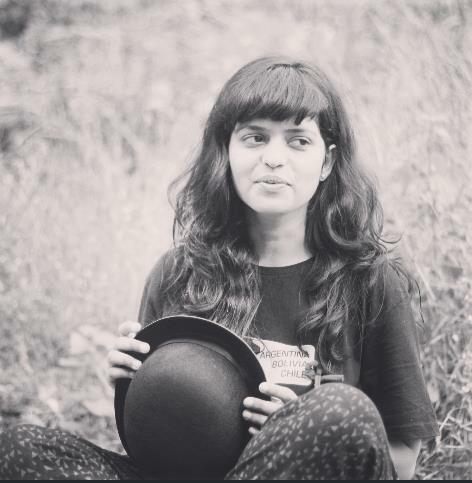 Clad in bare essentials which made for a chic appearance, the younger Kapoor sibling showed us how to dress and impress in - wait for it- a graphic tee and a pair of jeans! Can it get any cooler than that? Would definitely be a no if you were to ask us. The faded blue jeans and tee that held a huge resemblance to a slogan-endorsed outfit she has donned in the past (check it out if in case you missed it), Khushi Kapoor worked her girl-next-door look with a pair of stark white sneakers and a fringed sling bag in black. We don't know about you but we are certainly lovin' how the entire look has been put together. On the beauty front, Khushi kept it minimal with subtle lip colour and rose-tinted cheeks, giving her a fresh, dewy look which was completely in sync with her jeans+ tee OOTN. Her hair too was let loose, a welcome departure from the updo that she usually sports at casual outings. By giving jewellery a miss, Khushi Kapoor proved that a fashionably casual cool girl look can be just as perfect as an out-there couture pick. If you were wondering what to flaunt at the Friday night dinner, this it IT ladies!